Good morning, polished peeps! How are you today? Hopefully you have an amazing Sunday planned! Maybe even a summer picnic? It is the end of July, which usually means the perfect weather and time for one! And what is a picnic without a little yummy watermelon? 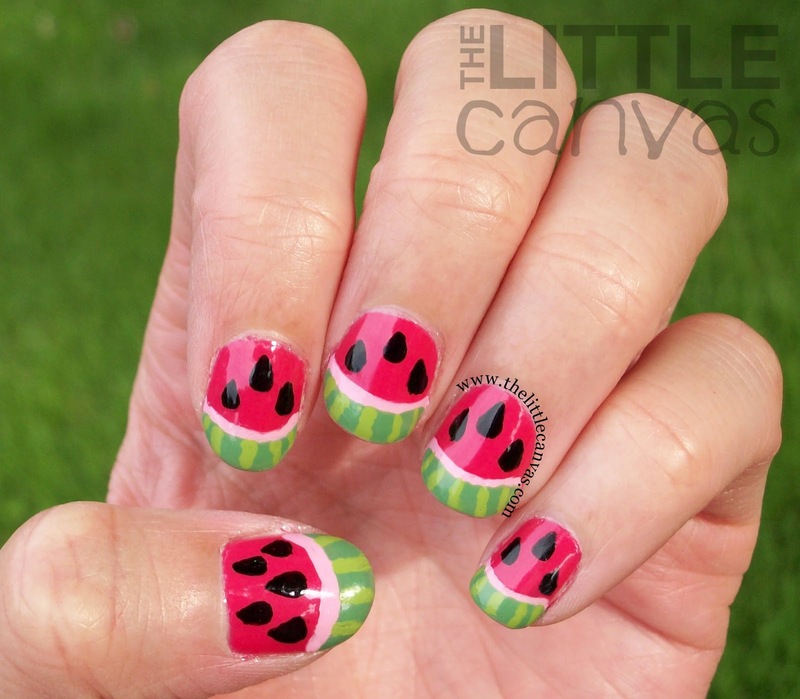 Last year I did watermelon nails which were pink and so adorable. While writing that sentence, I went back to last years post to link it and ended up getting distracted reading it. 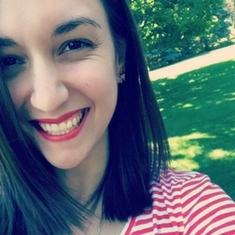 It was published almost a year ago on August 4th, and I wrote a little tidbit about how happy I was that I reached 10,000 page views. Now, as I sit here writing this post, I'm about 800 away from 100,000 page views. The other day alone I hit 1,000 in one day. It's just amazing to me, and I am truly thankful for all of my followers support! You guys keep me painting and posting! Look at me getting distracted, anywho, I wanted to re-attempt the cute little watermelons as soon as I received my bottles of Zoya Yana and Josie. 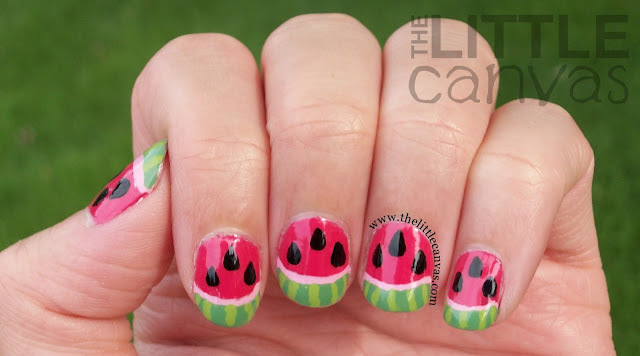 The two side by side literally are the perfect color of a fresh watermelon, and on the nail, they looked even better together! Let's take a look - not quite sure what happened with these photos, my INM made them super shiny, and even though it was sunny, they got some weird looking light. Perfect colors, right? When I first received the Zoya Stunning Collection, I had used all the other polishes in a tape manicure, but not Yana as I felt it was a tad darker. I'm kind of kicking myself for waiting so long to use Yana since it is such a gorgeous dark pink color. It has a perfect formula which applies like a dream. Sometimes, for me, when I apply darker polishes, I notice a lot of bald spots or uneven streaky areas. Yana had none of these issues, two coats and I had perfect coverage. I had no need or want to add glitter to mask any weird areas, it was perfect alone. After my base was on, I was debating on just doing a glitter or dot accent and ignoring the watermelons. But alas, my nail art self decided to continue on with the watermelons. 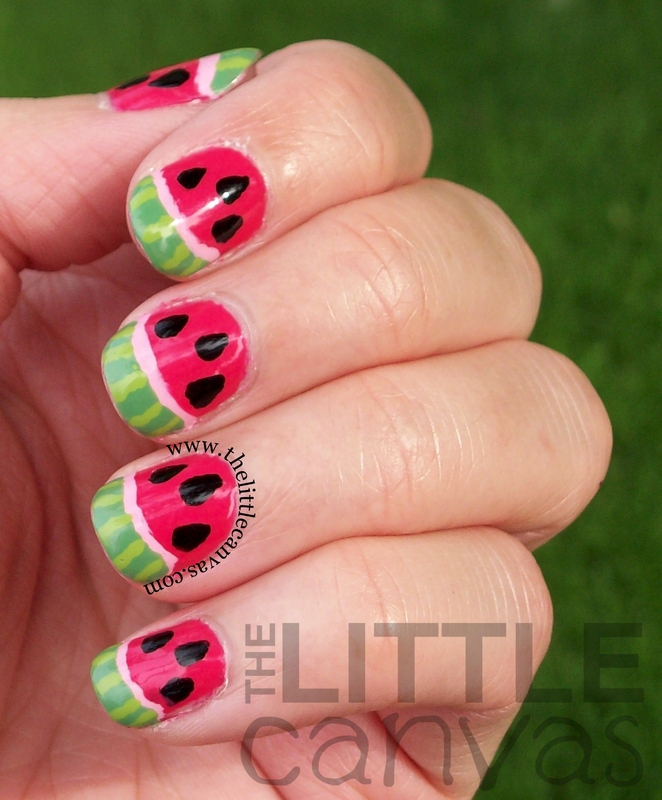 With a nail art brush, I painted a french tip of Pink Blink to resemble the watermelon's rind. When that was completed, I added another french tip of Zoya Josie, which to me, worked perfectly for the watermelon shell. As that was drying, with a toothpick, I drew on the little seeds. Before adding the top coat, I created a little of uneven detail on the rind using Revlon Sassy. Overall, I'm happy with how they turned out. The colors worked perfectly (which I've said about a million times now)! The only thing I wasn't too crazy about were the seeds. A tad uneven on my part. Maybe I should start doing my nail art earlier in the night so I can spend more time on them and make everything absolutely perfect. What do you think? Love, hate? Yana the perfect watermelon color? Again, thank you all for viewing my blog and following over this past year and a half! You guys are so amazing! Fall 2013 Zoya Satin and Cashmere Polishes!